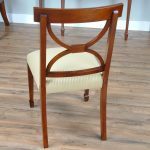 The Sheraton Inlaid Mahogany Side Chair from Niagara Furniture is created from the finest grade of plantation grown solid mahogany and the finest available veneers. 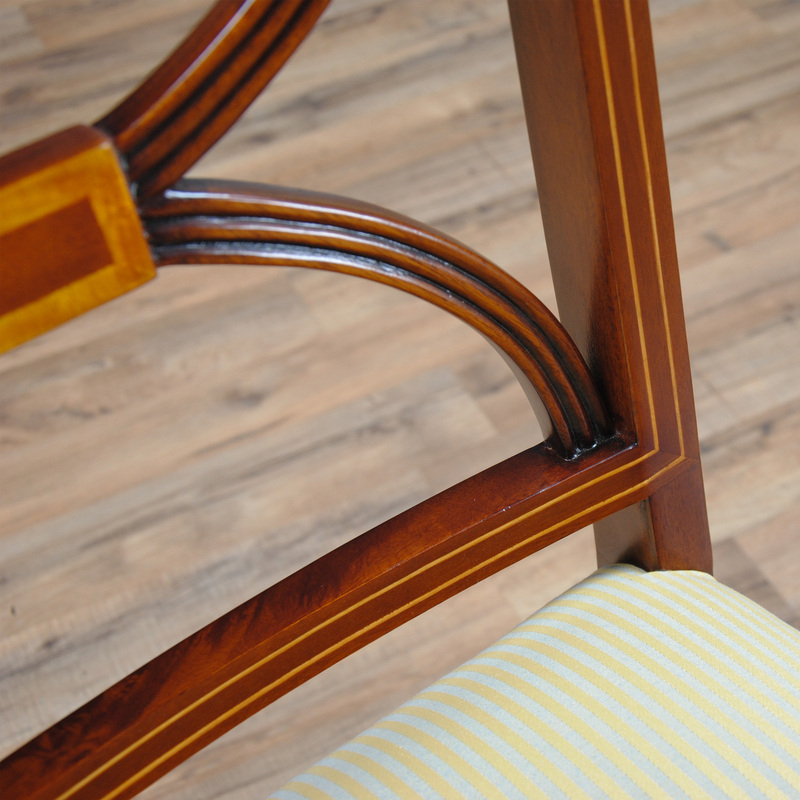 All of these materials come together to create a beautiful chair that is surprisingly solid. 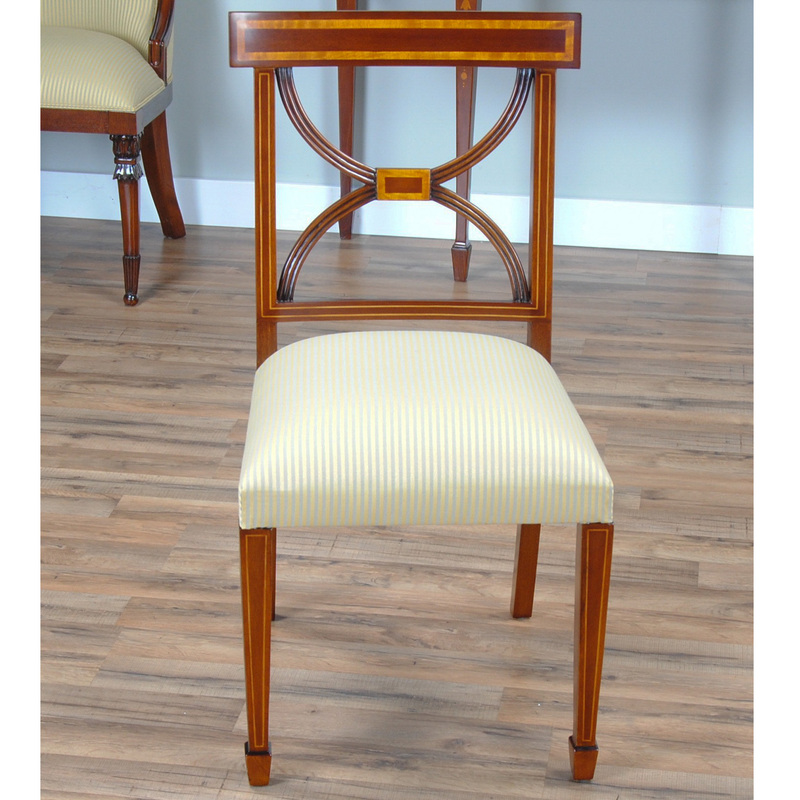 Very well built by experienced cabinet makers this Sheraton style chair has great features such as glue blocks in the corners of the seat area to help the chair remain tight and useful for years to come as well as an over upholstered seat for greater visual appeal. 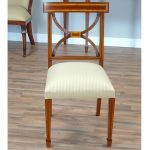 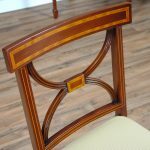 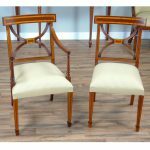 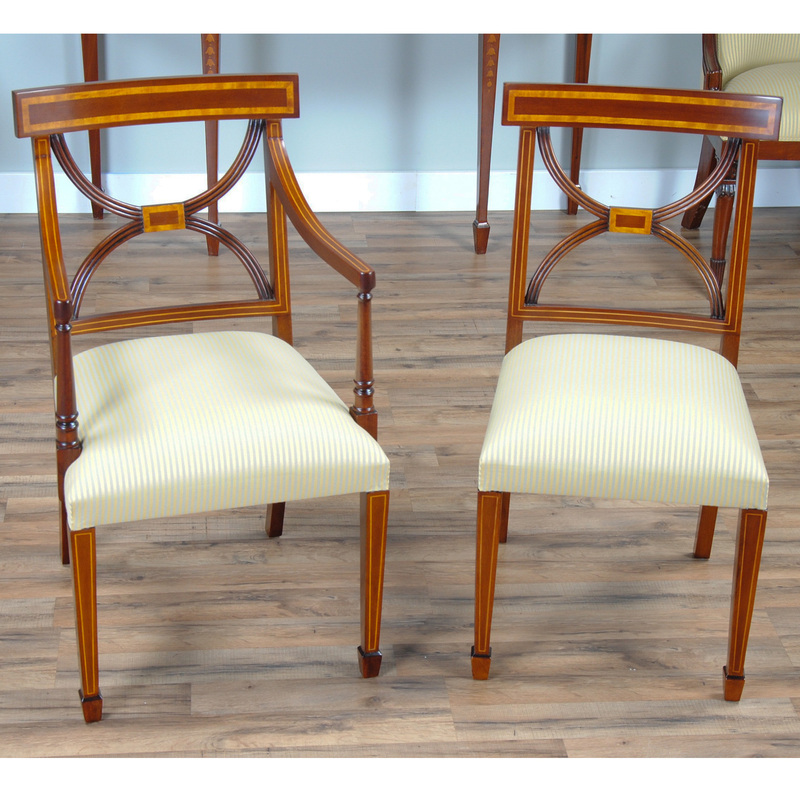 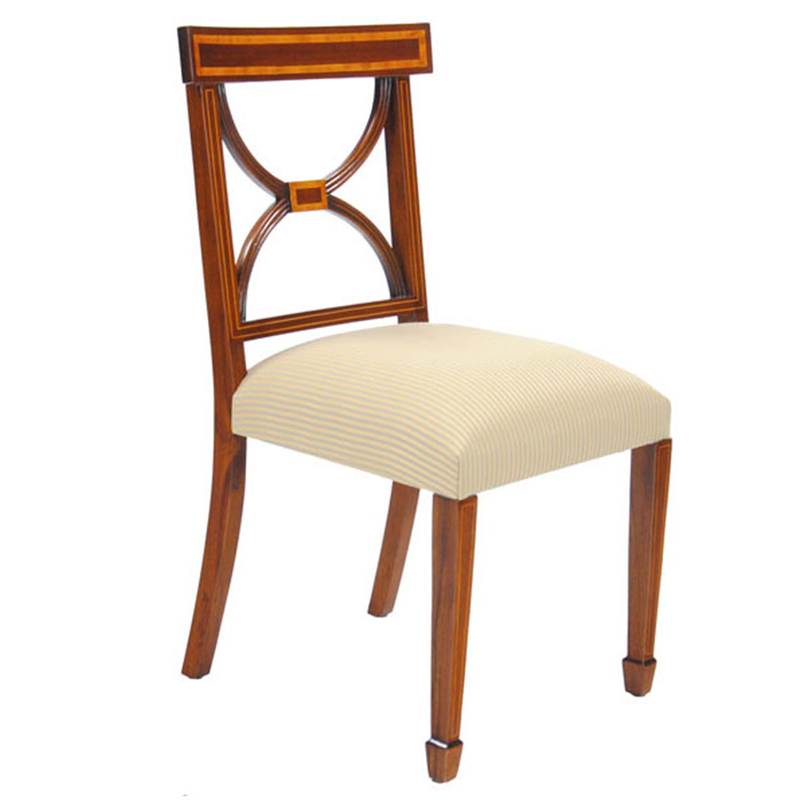 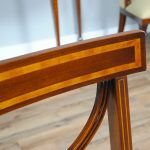 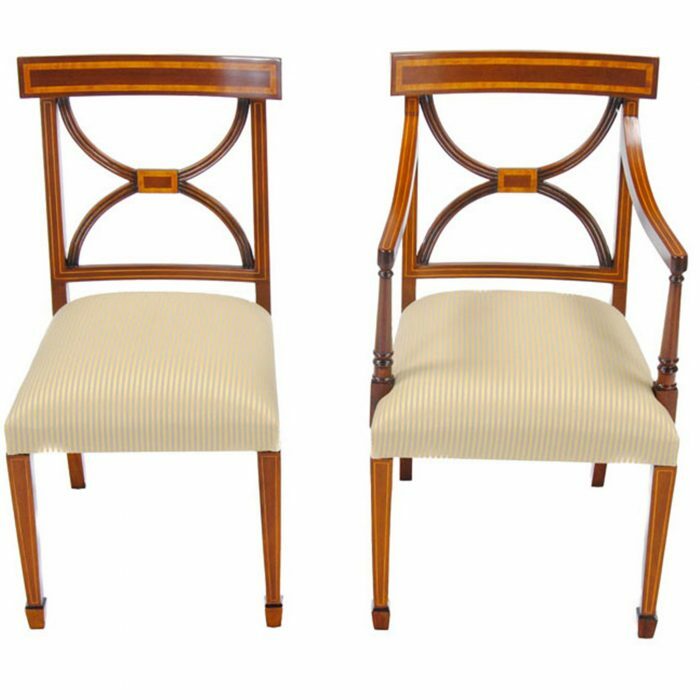 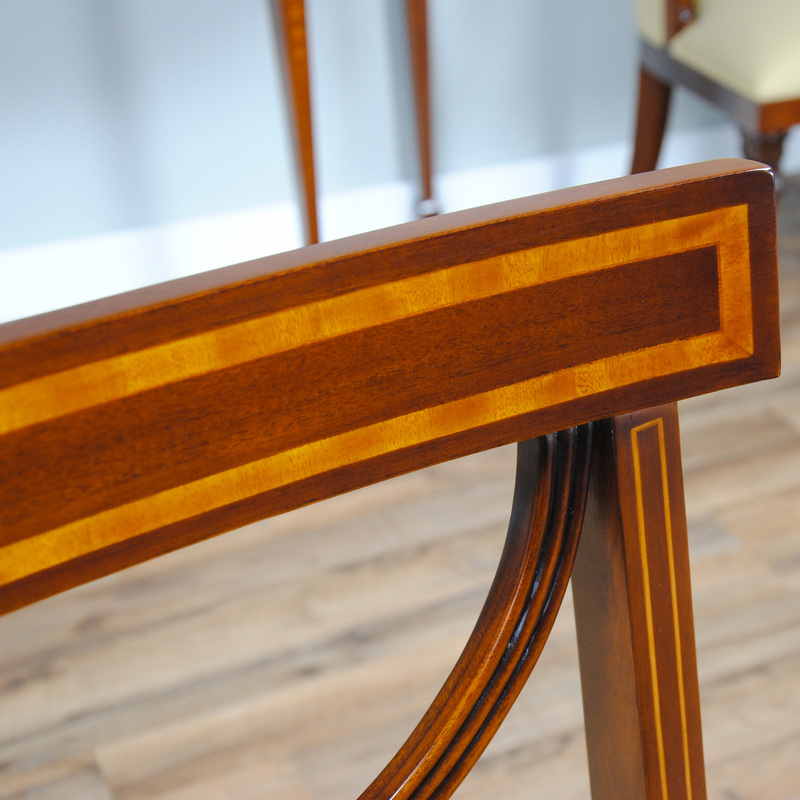 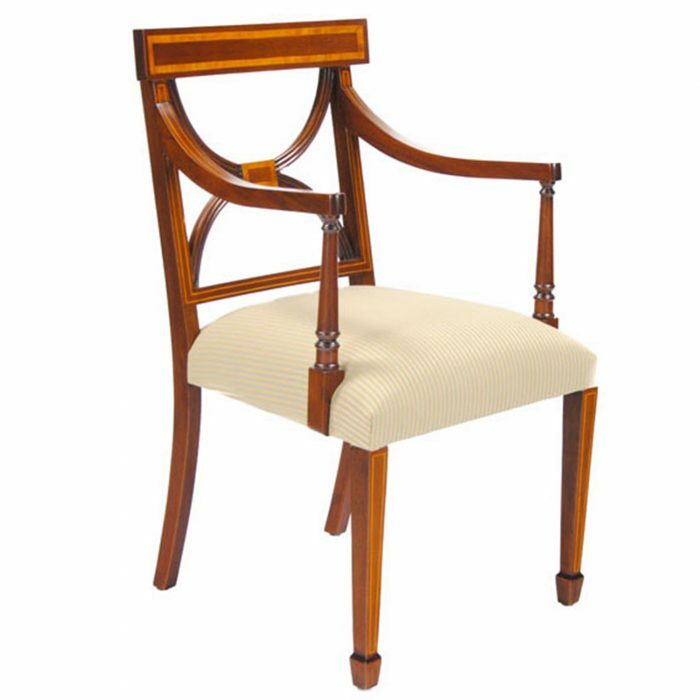 The center rail in the back of the Sheraton Inlaid Mahogany Side Chair features a banded rectangular design that is hand made and hand colored from satin wood while the tapered front legs end in a classic spade foot shape. 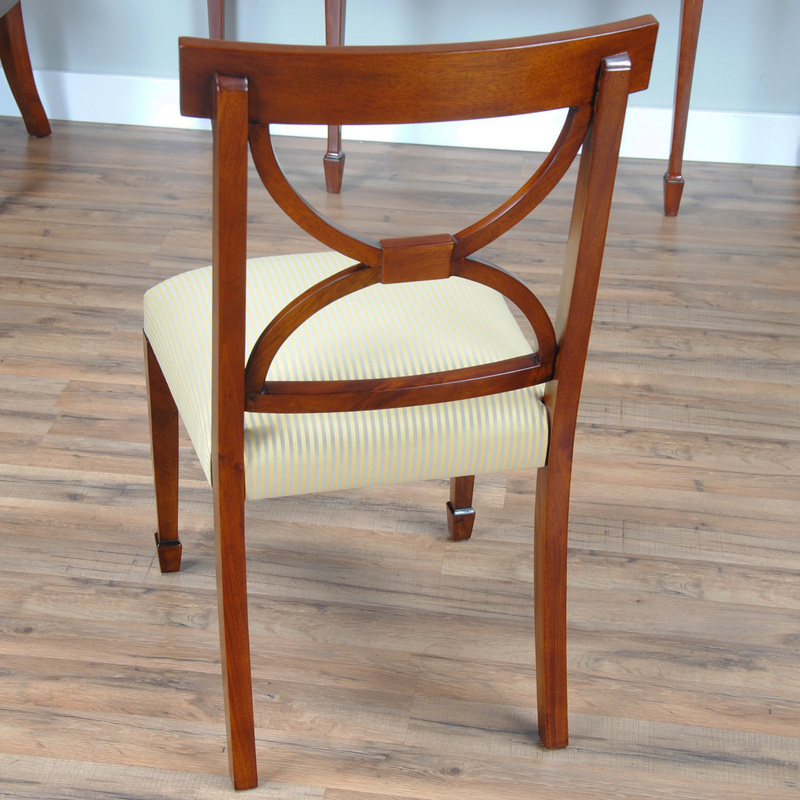 These chairs are slightly narrower than many of todays dining chairs so you can squeeze more friends and family around the table during your holiday meals!